Location: Collioure, in the Pyrenees-Orientales departement of France (Languedoc-Roussillon Region). Notes: Fort Saint-Elme is a military fort built between 1538 and 1552 under Charles V, from a guard tower built in the eighth century by the Moors. 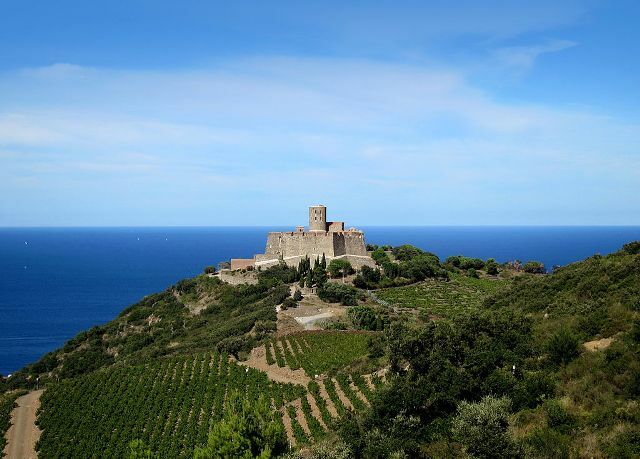 It is located in the town of Collioure, 30km south of Perpignan, in the Pyrénées-Orientales department. historical monument of the Côte Vermeille, it houses since 2008 a museum with collections of medieval weapons and rebirths, temporary exhibitions and a panorama of the region on the terrace.